The annual Battle of Somme anniversary parade will take place in east Belfast on Saturday July 1. 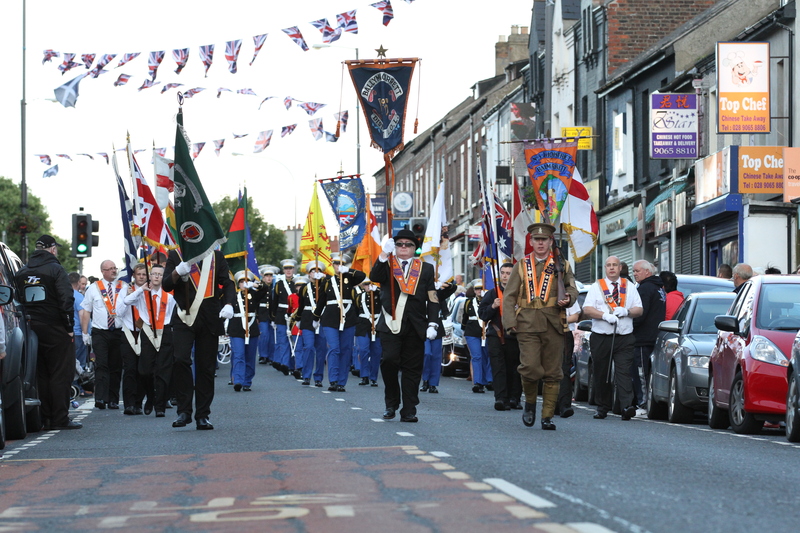 The procession takes on a particular significance this year as it is 100 years since Orange brethren in 1917 decided to hold a parade to remember the sacrifice and suffering of the 36th Ulster Division at the Battle of the Somme a year earlier. The parade, organised by Ballymacarrett District LOL No 6, has taken place each year since, making it the longest running Somme memorial event in the world. Large crowds turn out to see and support the parade and it has become traditional that those who were born in east Belfast, but now reside elsewhere, return for the evening. Ballymacarrett District Master, Raymond Spiers, said: “The annual Somme parade has a special place in the hearts of the people of east Belfast. The number on parade and the crowds that line the route are testimony to this community’s commitment to remember the sacrifice of their forefathers.